The selection of Karina Cervantez (bachelor's and master's degrees in psychology) as Watsonville's mayor two weeks ago means UC Santa Cruz graduates hold the top municipal seats in Santa Cruz County's two largest cities. Cervantez is also a current graduate student at UCSC. 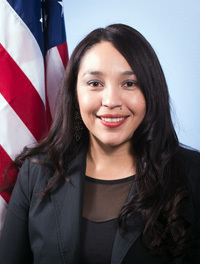 A vote November 19 by Cervantez's fellow City Councilmembers selected her for a one-year term. The current Santa Cruz mayor, Hilary Bryant (bachelor's in biology) wraps up her term next week. 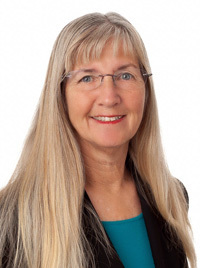 The trend of UCSC educated mayors will continue Tuesday when Santa Cruz City Councilmember Lynn Robinson (bachelor's in studio arts) is sworn in succeeding Bryant. Robinson and Cervantez will serve as masters of ceremonies for the Santa Cruz County Alumni Mixer set for Sunday, December 15, at the R. Blitzer Gallery, 2857 Mission St. Santa Cruz. Cervantez is the first UCSC grad to become mayor of Watsonville. In addition to earning bachelor's and master's degrees in psychology at UCSC, Cervantez is finishing her Ph.D. in the same subject. She is married to Assembymember Luis Alejo, a former Watsonville City Councilmember. Robinson will be the third consecutive Santa Cruz mayor with a UCSC degree. Councilmember Don Lane served as mayor in 2012 and also in 1992. He will be vice mayor during Robinson's term. Mike Rotkin, a History of Consciousness Ph.D. grad, was the first UCSC alum to become Santa Cruz mayor when he was selected in 1981. John Laird (bachelor's in politics) was the first undergrad, selected in 1983. Others include Scott Kennedy, Chris Krohn, Emily Reilly, and Jane Weed. Bruce Van Allen earned a UCSC degree in 1989 after serving as mayor earlier in the 1980s.